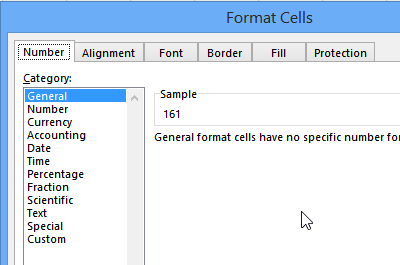 The Format Cells dialog box opens, and you can click any of the tabs, to change the formatting options for the selected cells. 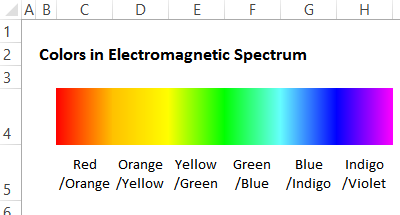 To show an electromagnetic spectrum in a range of 6 cells, you can use a 2-color gradient fill in each cell. Thanks to Robert Lepper, for sharing this tip. He used this technique to help with a homework assignment. To show a color spectrum, like the one above, each cell is filled with a 2-color gradient. Each adjacent cell starts with the finishing color of the cell to the left. 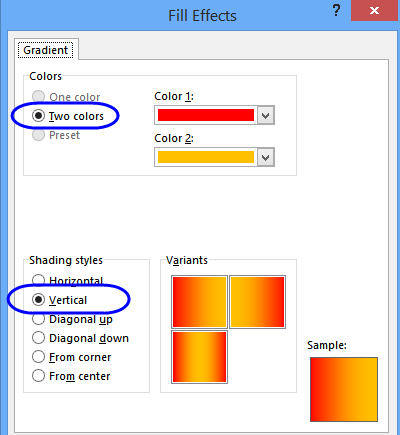 Under Colors, the Two Colors option is automatically selected. Repeat these steps in each of the 6 cells, to create the full color spectrum. 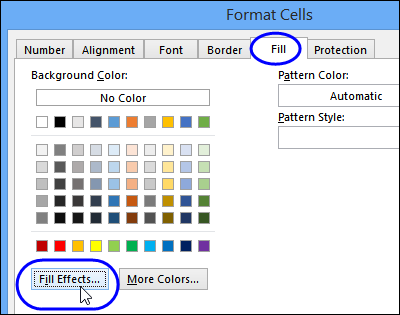 While working on a worksheet, you might want to change a cell's fill color or font colour, or add borders. To do that, you can use the fill, font, and border commands on the toolbar. If you have lots of formatting to do, it will be easier if the palettes are closer to the area where you're working. 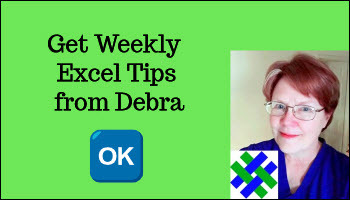 In Excel 2007 and later, right-click on the cell that you want to format, to see the popup menu. A mini toolbar also appears, with several formatting options, including fill, font and borders. 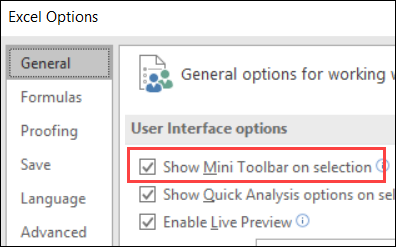 If the mini toolbar does not appear, go into Excel Options, in the General category, and add a check mark to "Show Mini Toolbar on selection". 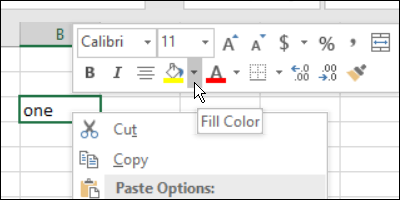 In Excel 2003 and earlier, you can detach the formatting palettes from the toolbar, and move them onto the worksheet. This video shows the steps, and the written instructions are below the video. On the toolbar, click the dropdown arrow, to open the palette. At the top of the palette, point to the thin grey bar. When your pointer changes to a four-headed arrow, drag the palette down onto the worksheet. When you've finished working with the palette, click the X at its top right, to close it. Download the sample formatting workbook. The zipped file is in xlsx format, and does not contain macros.